The legalization of cannabis has not prevented Canadians from purchasing cannabis on the black market as the government had hoped it would. If anything, legalization has made cannabis being sold illegally even more appealing due to the variety of products being offered at unlicensed dispensaries and how much cheaper they are than legal weed. Still, many dispensaries have been forced to close their doors since last October because they don’t operate in accordance with government regulations. Every single dispensary on the North Shore was required to close up shop, and one by one, dispensaries in Vancouver are being forced out of business due to the new and extremely strict regulations and jurisdiction being enforced on them. The City of Vancouver’s website lists a total of three dispensaries that have a municipal development permit, a provincial retail licence, and a municipal business licence, and around 50 dispensaries that have a municipal development permit. These are just the dispensaries approved by the City of Vancouver. Many more continue to operate without any approval from the city, and these dispensaries make up most of the black market. Most dispensaries that choose to operate outside of government regulations don’t add tax to their products. Whatever the price is on shelves, that’s the price you pay. Licensed dispensaries or “government dispensaries”, as many Vancouverites refer to them, tax cannabis at $1 per gram or 10 per cent on anything over $10 per gram. 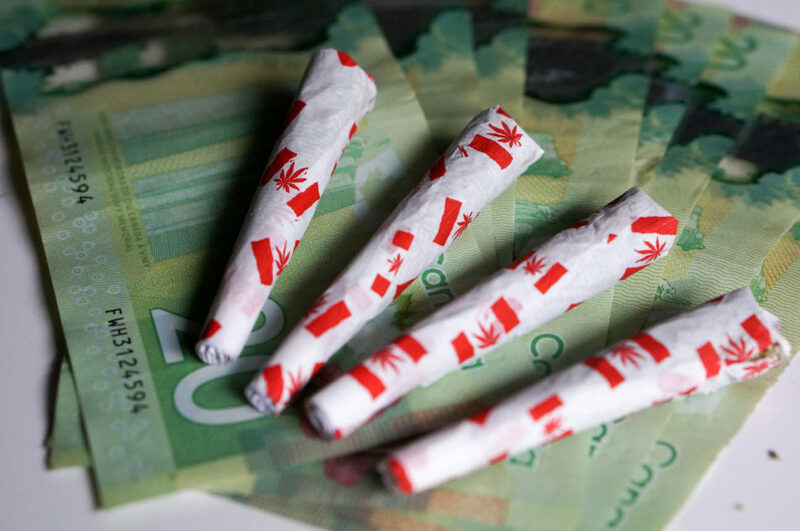 According to Stats Canada, that brings the average price per gram to $9.70 at legal dispensaries and $6.51 per gram at unlicensed dispensaries and private suppliers. Bill C-45, or the Cannabis Act, does not allow for the sale and distribution of cannabis edibles and many forms of cannabis concentrates and topicals. Companies that produce these products, such as Twisted Extracts, Mary’s, and Miss Envy, continue to thrive and distribute their products through unlicensed dispensaries. These products can be essential to users who are not interested in smoking the plant directly, which has been known to cause more adverse health effects than ingesting cannabis in a processed form. The black market cannabis industry is projected to account for about 37 per cent of cannabis sales in 2020, according to a February 2019 report by Bank of Nova Scotia outlined in an article by The Georgia Straight. These predictions are based, in part, off of alcohol prohibitions and the time it took for users to switch to buying the alcohol being sold after prohibition was repealed. Since the Canadian government has decided to group cannabis and alcohol regulation under one branch, statistics and opinions can be skewed as the two substances have very little in common. The Canadian government’s projected revenue from taxation of Cannabis was nearly half the amount estimated by each province. According to an article by the Vancouver Sun, New Brunswick cut its estimate for cannabis taxes to $3.6 million from $6 million in its latest budget. The government’s projected black market cannabis sales are extremely underestimated, especially taking a province like British Columbia, which has a booming and longstanding cannabis industry, into account. Surely, eliminating black market cannabis sales is going to be more difficult than the B.C. Liquor and Cannabis board has anticipated.